Christians in China are now entering dangerous territory: the religion is becoming popular, and under the atheist rule of the Chinese Communist Party, that means trouble. Some estimate that China is now home to up to 100 million Christians. That number is important—Falun Gong was also being practiced by an estimated 100 million people when the Chinese regime launched its brutal persecution of the peaceful practice based in truthfulness, compassion, and tolerance. The thing is, like Falun Gong when the persecution began in 1999, the number of Christians in China may now surpass the 85 million person membership of the Chinese Communist Party. 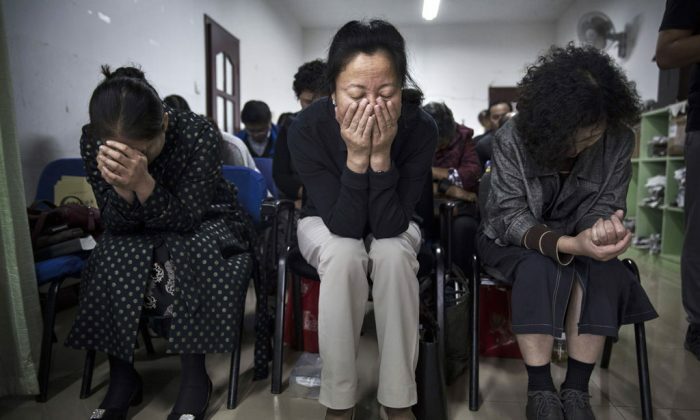 And already, the Chinese regime is ramping up its suppression of Christians. 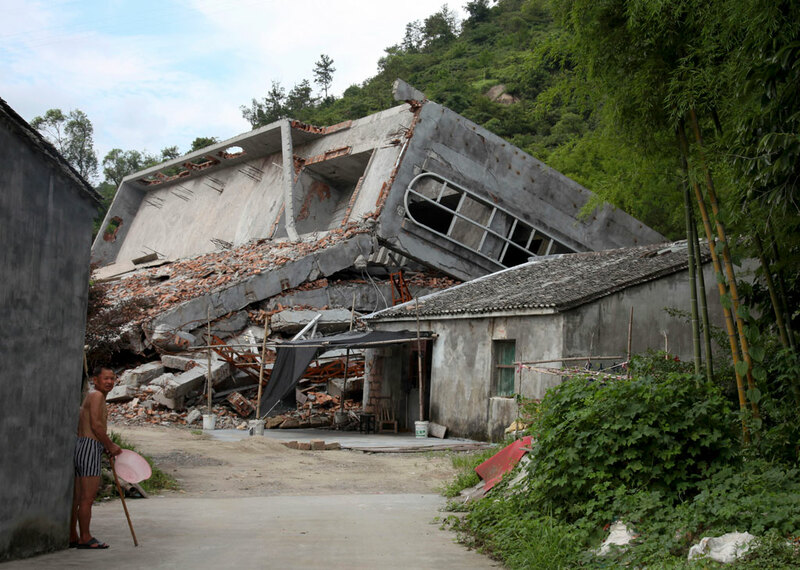 The New York Daily News reported on Christmas Eve that in Zhejiang Province alone, the Chinese regime has torn down crosses from more than 400 churches. During the week of Christmas in Zhejiang’s Wenzhou city, according to the Daily News, the Chinese regime banned all Christmas celebrations in kindergartens and grade schools. “We had guidance on foreign holidays such as Christmas in the past, but this year marks the first time we issued a clearer notice,” Daily News quotes an education official saying. The most important bit of news, however, is something more subtle. The Chinese regime forced Christian pastors and religious scholars to attend a national seminar in Beijing in August, according to Daily News. And at that seminar, they were educated on keeping the Christian faith free of foreign influence and adapting to China. To keep Christianity in China “free of foreign influence” is a loaded phrase. The wording here is important, and goes back to when the Chinese regime was destroying traditional religions and creating its own versions to replace the destroyed religions. In the 1950s, the Chinese Communist Party was in the process of wiping out all traditional culture and belief. While the Chinese Communist Party was arresting and killing Buddhist abbots and Taoist priests, it created two organizations that created its own version of the religions. Christianity and Catholicism were also subjected to similar alterations in China at the time—and this ties back to that keeping the “faith free of foreign influence” line. The phrase goes back to the Three-Self Church, formed in 1950 by Wu Yaozong, who was part of the Chinese regime’s Political Consultative Conference standing committee. Basically, like the Chinese regime did with Buddhism and Daoism, it wanted to create a new religion that is “under the leader of the People’s government.” Likewise, Catholics in China aren’t allowed to acknowledge the Pope. The recent developments with Christianity in China are important. The traditional Christian groups currently persecuted in China are part of the House Christian movement who don’t follow the state-run brand of the religion. The Chinese regime’s harsher crackdown on the permitted churches, religious symbols, and religious holidays shows that the regime is becoming more restrictive on the religion and its traditions. Moving forward, the question will be whether the Chinese regime can keep its Christians practicing its modified brand of Christianity, or whether China’s Christians will choose to follow the unaltered version of the religion and risk the persecution they suffer being intensified. The answer isn’t so simple. Falun Gong actually has many supporters abroad, and has since the persecution first began, but even this wasn’t enough to stop the Chinese Communist Party. The U.S. House of Representatives passed its first resolution condemning the Chinese regime’s persecution against Falun Gong on November 18, 1999, soon after the Chinese regime launched the persecution on July 20, 1999. The House has since passed three additional resolutions, in 2002, 2003, and 2010. Falun Gong has received similar support—and there were similar condemnations of the persecution of the practice in China—from the United Nations, governments of several countries, Amnesty International, and Human Rights Watch. The real problem Falun Gong faces in terms of international pressure against the persecution in China is that when the persecution began in 1999, the Chinese Communist Party accompanied it with a massive propaganda campaign that spread false information on the practice that was still little known outside China. The Chinese regime has since built on its propaganda campaign by pressuring foreign media from reporting on Falun Gong—a persecution that has affected 1 in every 12 Chinese people, and remains one of the largest stories in the country today. One of the more recent examples was in April when it forced Reader’s Digest to pull a story—for publication outside China—because it mentioned the persecution of Falun Gong. The important thing to watch, regarding the Chinese regime’s heightened crackdown on Christians, is whether the Chinese regime will try to convince the outside world that somehow independent Christian movements are a danger to the country, and whether it can mislead or silence the press abroad. Five daughters of renowned China dissidents, who are imprisoned, request a meeting with President Obama. Chinese regime head Xi Jinping was seen in photos enjoying Santa Claus, while around China, officials seemed intent on stamping out Christmas celebrations.